Nearly a third of Britain’s billionaires have either moved or are relocating to tax havens, where some have broken UK law by bankrolling political parties, a major investigation said. “We must stop tax evasion so that the wealthiest pay their fair share,” Margaret Hodge, a leading lawmaker from the main opposition Labour Party who co-sponsored the tax haven measure, tweeted in response to The Times’s reports. The Sunday Times reported that Ratcliffe’s move to Monaco, where it said 10 British billionaires and 408 UK business owners live, could cost the Treasury up to £4 billion. It is of interest that the fastest growing billionaire group is located in communist China. Doubtless, that is only the beginning, for it seems all but logical that China and India will lead the world in billionaires in the not-too-distant future. 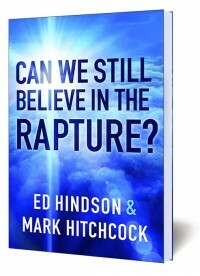 We recommend Can We Still Believe in the Rapture? #2332 Is the rapture really taught in the Bible? Can we really expect Jesus to gather up His followers before the Antichrist is revealed?